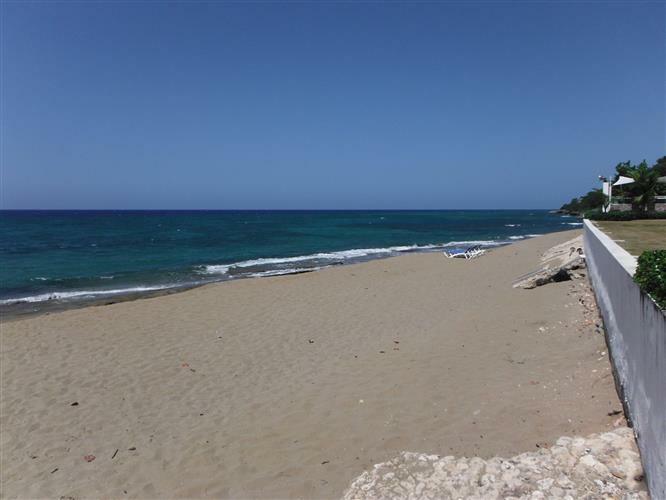 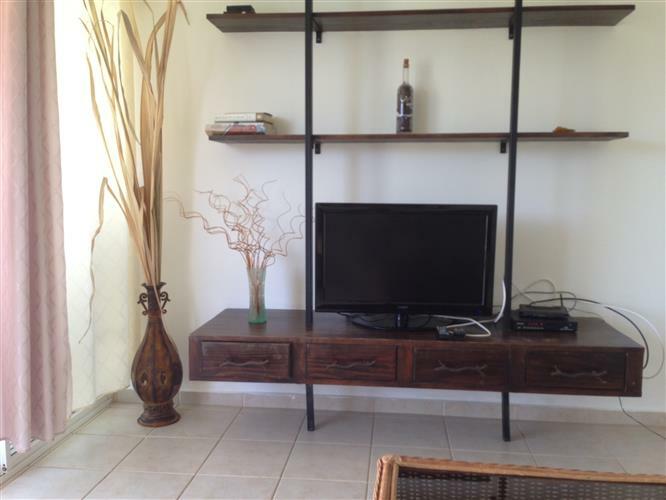 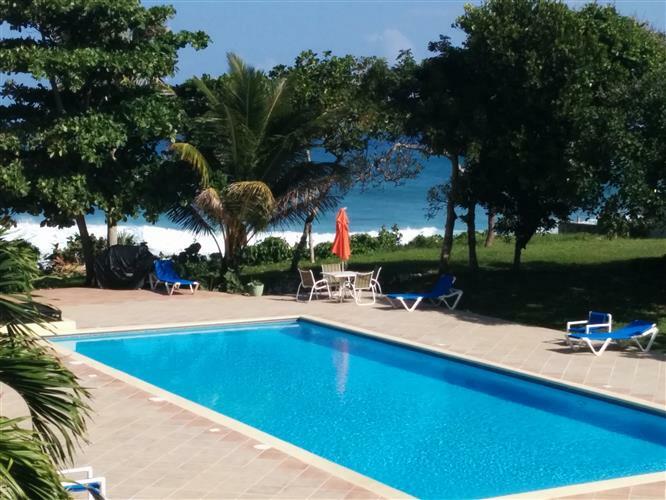 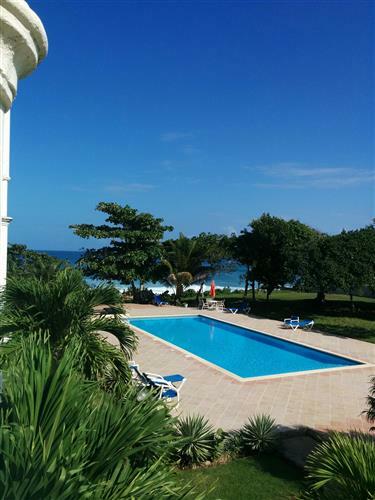 Beach front condo for sale in Sosua. 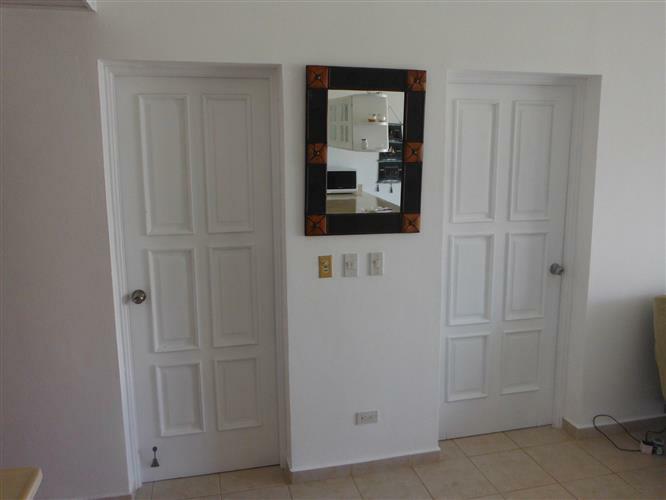 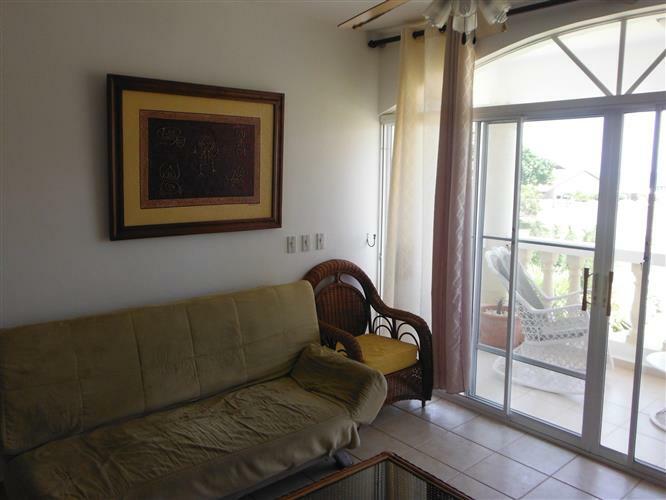 This spacious one-bedroom condo is located just outside Sosua in a well-established gated community as close to the beach as you can possibly come. 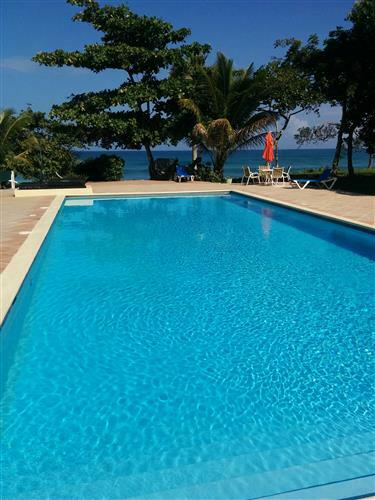 In front of the beach you will find a great ocean front pool, in fact one of the nicest ones around. 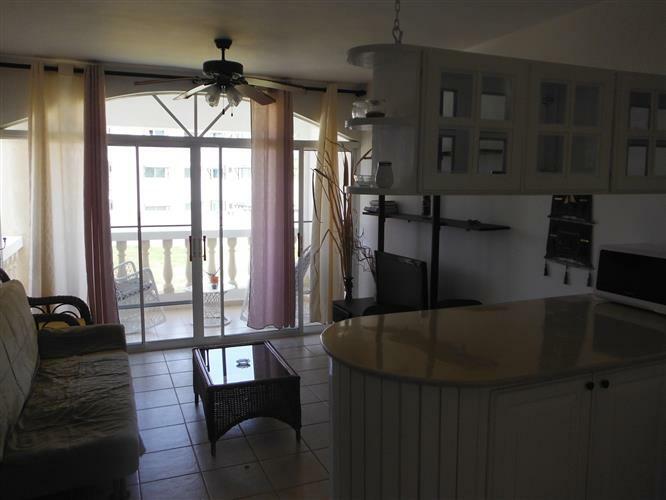 When you enter this newly repainted and upgraded condo you have the living room and in front of it you have a large balcony overlooking the pool and with great ocean views. 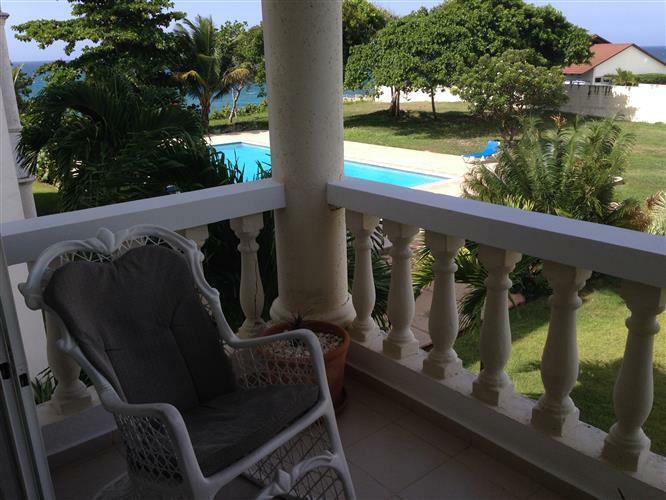 The balcony is large enough for you to be able to put a dining table and some space for chairs to enjoy your morning coffee or enjoying the sunset. 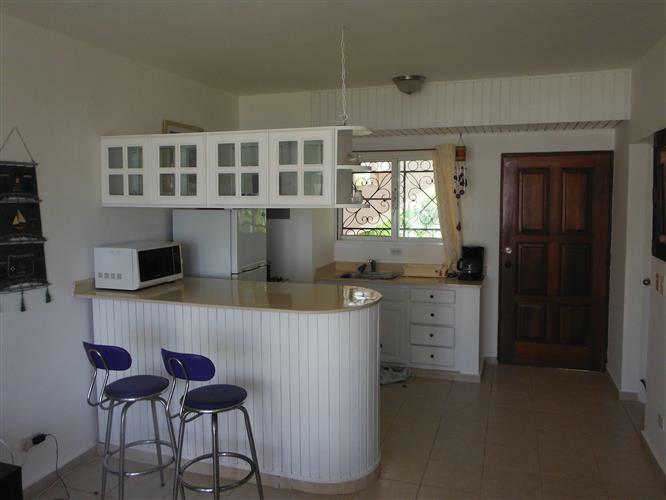 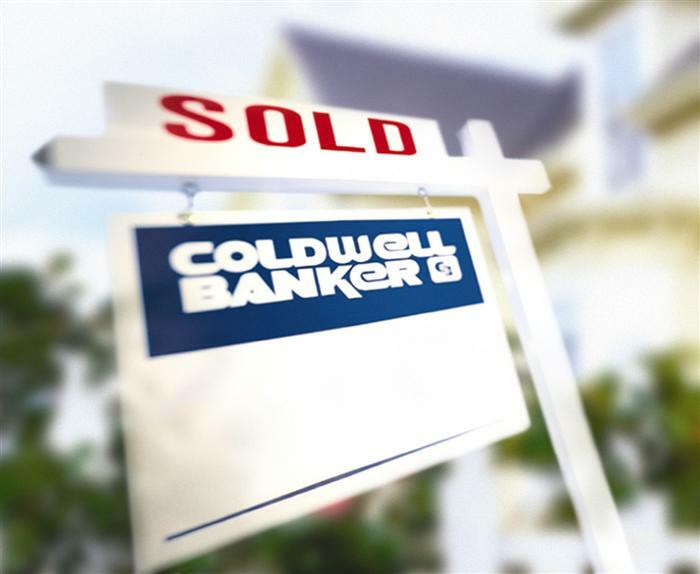 All appliances are brand new and comes with the purchase, To the left you have the spacious bedroom with its en-suite bathroom. 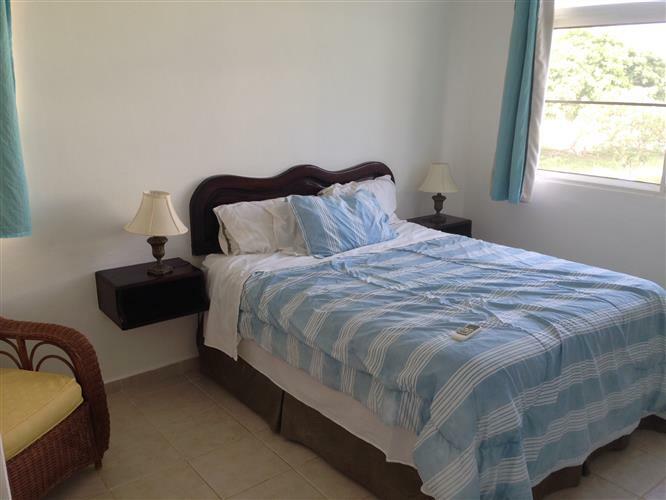 The bedroom is big enough for a king size bed and even for good spaces to put a chair besides it.